Do you like gingerbread? Have you ever thought about the gender of the biscuit is before taking a nibble? 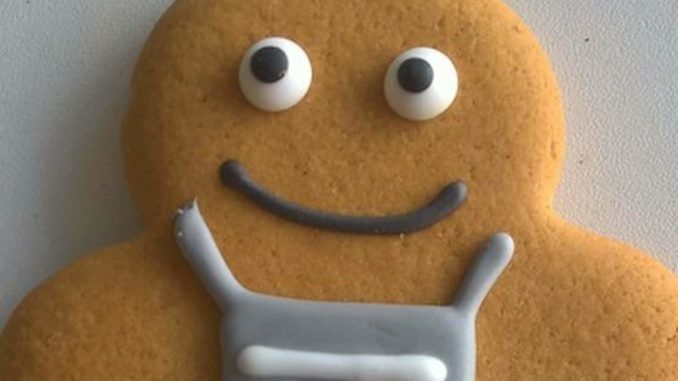 The Co-op is even asking for the public’s help in choosing a ‘fitting’ name for their new gender neutral biscuit. The Telegraph reports: Shoppers have been encouraged to sign up to the supermarket’s website and send name suggestions which would suit a gender-neutral biscuit. “Inclusion and diversity lie at the heart of Co-op’s values and we’re looking to create a character which can be used to celebrate different occasions through the year and will appeal to all our customers,” a Co-op representative said. Oddly Motley, is a good name!